As the Australian cruising market booms, so does the demand for cruise departures from more Australian cities. In response, the Australian cruise industry has really amped-up its cruises from Adelaide! Discover some of Australia’s iconic coastal cities with voyages up to three weeks, discover the awe-inspiring wilderness of New Zealand or don’t miss out on a rare opportunity to cruise to the South Pacific islands. If time is short, there are an increasing number of short cruises from Adelaide so why not take a quick break of up to 4 nights. 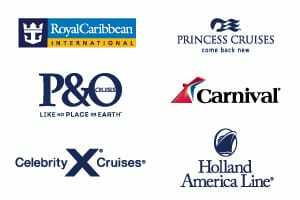 Scroll down for our most popular recommended cruises and to view the full list of cruises from Adelaide. Only cruises with remaining available cabins are listed. You may also wish to view cruises from Sydney, cruises from Brisbane, cruises from Melbourne or cruises from Perth for other options. Our cruise specialists are on hand to help with all your enquiries on cruises from Adelaide. Contact us or request a call back to chat with one of our friendly consultants.